For more information please look at our Auto iPacket... it really has so much information on the exact equipment on the one you're looking at. 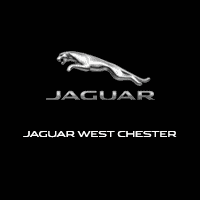 Call or email us for any further questions about an unit.. Just give us the stock number when you call  610.436.0600.Narvik Black 2019 Jaguar E-PACE SBluetooth / Handsfree Calling.AWD 9-Speed Automatic 2.0L I4 TurbochargedFor more information please look at our Auto iPacket... it really has so much information or exactly the equipment on every car. Call or email us for any further questions about an unit.. Just give us the stock number when you call. 610.436.0600. For more information please look at our Auto iPacket... it really has so much information on the exact equipment on the one you're looking at. Call or email us for any further questions about an unit.. Just give us the stock number when you call  610.436.0600.Fuji White 2019 Jaguar E-PACE SBluetooth / Handsfree Calling.AWD 9-Speed Automatic 2.0L I4 TurbochargedFor more information please look at our Auto iPacket... it really has so much information or exactly the equipment on every car. Call or email us for any further questions about an unit.. Just give us the stock number when you call. 610.436.0600. For more information please look at our Auto iPacket... it really has so much information on the exact equipment on the one you're looking at. Call or email us for any further questions about an unit.. Just give us the stock number when you call  610.436.0600.Santorini Black 2018 Jaguar E-PACE R-DynamicBluetooth / Handsfree Calling.AWD 9-Speed Automatic 2.0L I4 TurbochargedFor more information please look at our Auto iPacket... it really has so much information or exactly the equipment on every car. Call or email us for any further questions about an unit.. Just give us the stock number when you call. 610.436.0600. For more information please look at our Auto iPacket... it really has so much information on the exact equipment on the one you're looking at. Call or email us for any further questions about an unit.. Just give us the stock number when you call  610.436.0600.Fuji White 2019 Jaguar E-PACE SEBluetooth / Handsfree Calling.AWD 9-Speed Automatic 2.0L I4 TurbochargedFor more information please look at our Auto iPacket... it really has so much information or exactly the equipment on every car. Call or email us for any further questions about an unit.. Just give us the stock number when you call. 610.436.0600. For more information please look at our Auto iPacket... it really has so much information on the exact equipment on the one you're looking at. Call or email us for any further questions about an unit.. Just give us the stock number when you call  610.436.0600.Gray Metallic 2019 Jaguar E-PACE SEBluetooth / Handsfree Calling.AWD 9-Speed Automatic 2.0L I4 TurbochargedFor more information please look at our Auto iPacket... it really has so much information or exactly the equipment on every car. Call or email us for any further questions about an unit.. Just give us the stock number when you call. 610.436.0600.